Blue Eyes - This husky puppy has the bright blue eyes that they have become known for, though the blues can vary from the light ice to the dark blue. Brown - The brown eyes on this husky are very vibrant. Shades can vary from a light brown to a dark brown. Bi-Eyed - This husky has two different eye colors. One is blue and one is brown. Parti or Split (Multiple colors in one eye) - This husky has two different colors of eyes, one blue eye, and one brown eye. But if you look at the brown eye on the left it has a hint of blue in it as well. 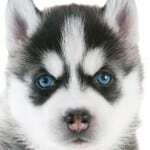 Huskies are born with beautiful almond shaped blue eyes, but you may be surprised to know that Siberian Husky puppies can change eye color just like their coat color. That's right! The puppy with bright blue eyes that you bring home from the breeder might end up with different colored eyes. When selecting your puppy from a breeder, or placing a deposit, they will probably mention this to you and that there is no guarantee the eyes will remain the same color. Between 5 and 8 weeks of age the eyes of a Siberian Husky puppy might start changing from blue to gray to settle in on brown. This is completely normal and is just one of the fascinating facts about Siberian Huskies. The American Kennel Club Siberian Husky Standard says it is perfectly acceptable for the eyes of a Husky to be blue, brown, or mixed. Blue can range from a steel-gray color to bright blue, and brown can range from an orangy-copper to a deep chocolate brown. Some Huskies have one of each color (one blue, one brown) and this is called heterochromia, more commonly referred to as bi-colored or bi-eyed. Other Huskies have mixed colours within each eye: partly blue and partly brown, and this is commonly known as parti-colored. The mixed coloring has nothing to do with cross breeding. Purebred Siberians can have different eye colours. 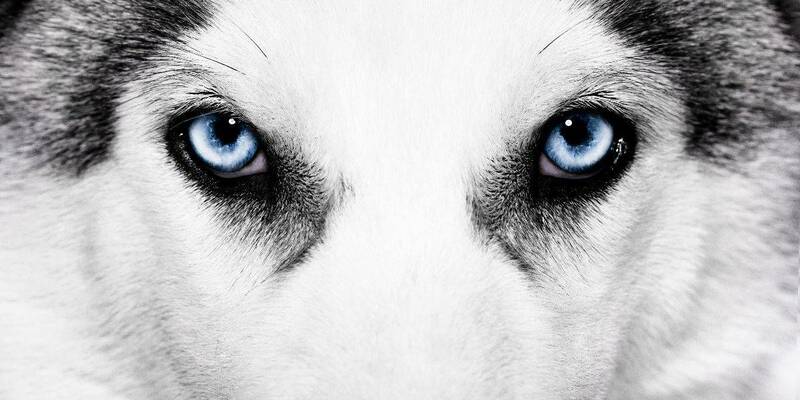 Around 2 out of 5 Huskies end up with blue eyes, another 2 out of 5 with a shade of brown. Of the remaining 20% you will find around 15% bi-colored and 5% parti-colored. Below is a video that shows off several huskies with different-colored eyes, so that you can get a better idea of all the possibilities. There are some very beautiful dogs showcased in it. 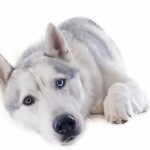 If you are interested in the technical explanation of how genetics can affect eye color in Huskies we encourage you to read Dr Todd Woods' article on Basic Siberian Genetics. If on the other hand you just want to see more pictures of Husky eye colours we recommend this page. Lastly, we would love it if you would let us know in the comments about your experiences too!